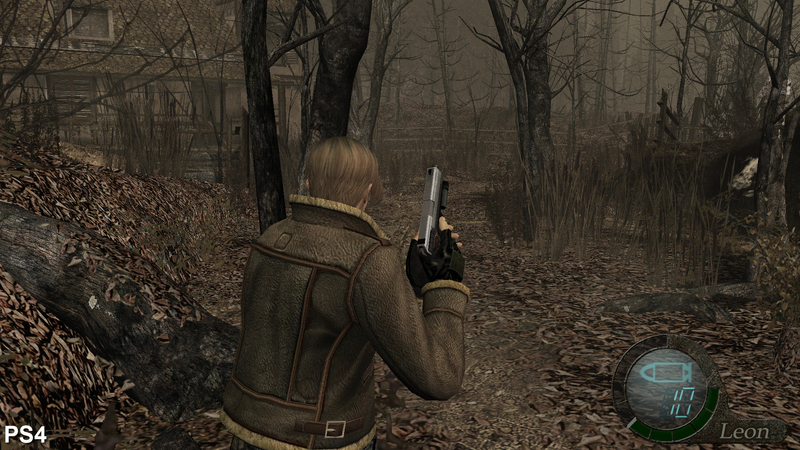 Resident Evil 4 is more than ten-years-old now, and despite myriad ports, we've still yet to receive a definitive edition, a remaster that matches and exceeds the quality of the GameCube original in every way. 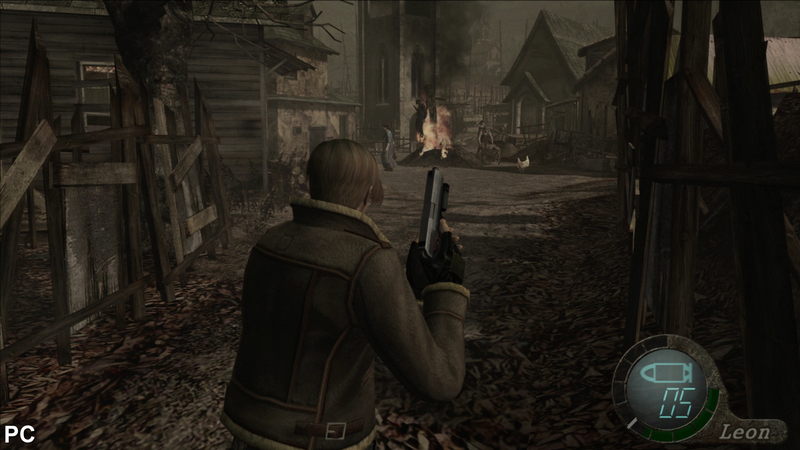 So when it was announced that Resident Evil 4 was being ported to Xbox One and PlayStation 4, we were interested to see how these new versions stack up. Has an iconic release finally been revisited, revised and remastered to the fullest extent? Or is it simply a port based on existing work? This week's new PS4 and Xbox One releases are based on the PC version dubbed the Ultimate HD Edition. This is based, in turn, on the original GameCube codebase. It's an important distinction as the original 2007 PC port is actually based on the inferior PlayStation 3 conversion. Despite the age of the game, none of the many ports have quite matched every aspect of the original release. 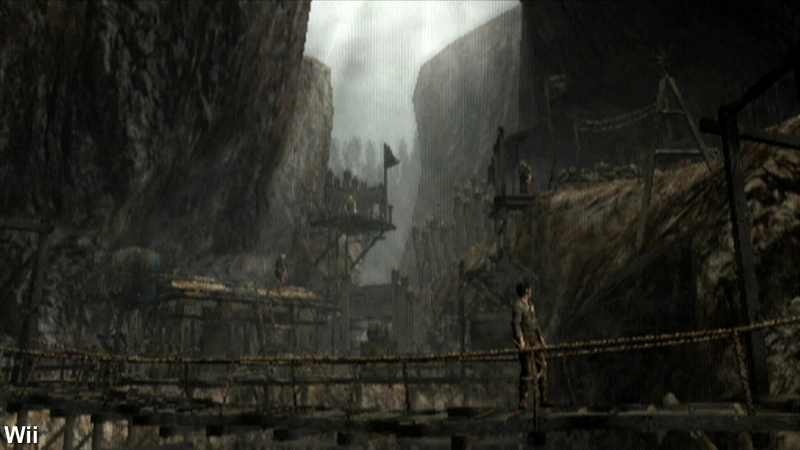 Certain effects, such as high intensity fire effects, depth of field and dust particles in the air are absent while the overall colours are desaturated, eliminating the contrast between light and shadow. These criticisms apply to every conversion of the game - and that includes these new PS4 and Xbox One remasters. However, while the overall image appears somewhat less rich, the majority of the experience is intact and the higher resolution helps to make up for the deficiencies. That said, once you jump in, it quickly becomes apparent that image quality isn't quite what we would have expected here. While both versions operate at a full 1080p, neither port features anti-aliasing of any description - even something as lightweight as FXAA could have made a difference here. 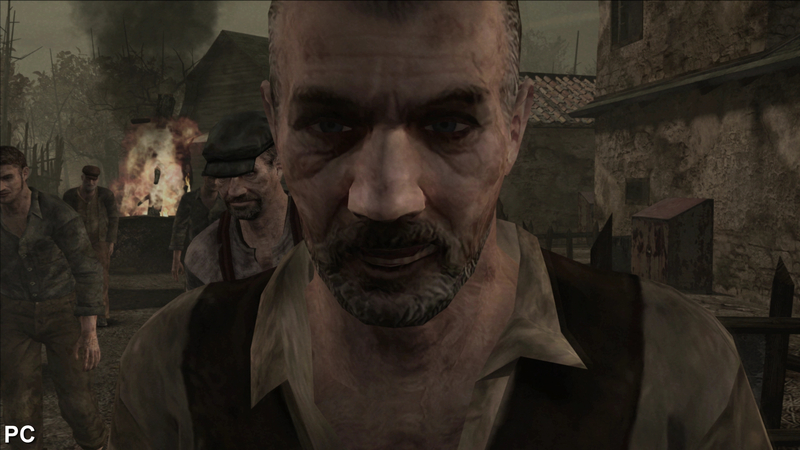 When combined with the lack of mip-maps (textures generated to combat surface aliasing) the game suffers from noticeable shimmering throughout. On the GameCube, this approach was likely taken in order to avoid blurring caused by trilinear filtering, but on modern consoles, it's possible to perform anisotropic filtering on mip-maps enabling sharper but cleaner results. Unfortunately, this is missing on the new releases. Thankfully, image quality woes are somewhat offset by a focus on performance - both versions turn in a rock solid 60 frames per second. 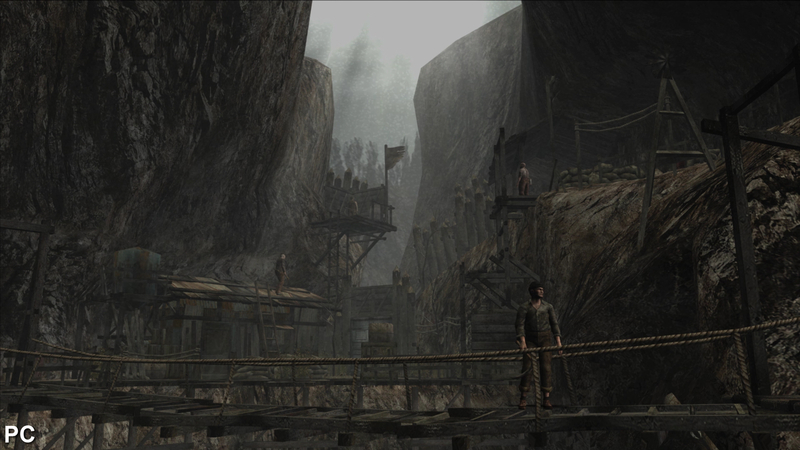 While we haven't had an opportunity to actually complete the game in its new iteration, we have played through the first few chapters on each platform and have yet to run into a single hitch. As with the PC version before it, however, the original code was not designed to play at 60fps and there are some minor issues that can crop up as a result of this. 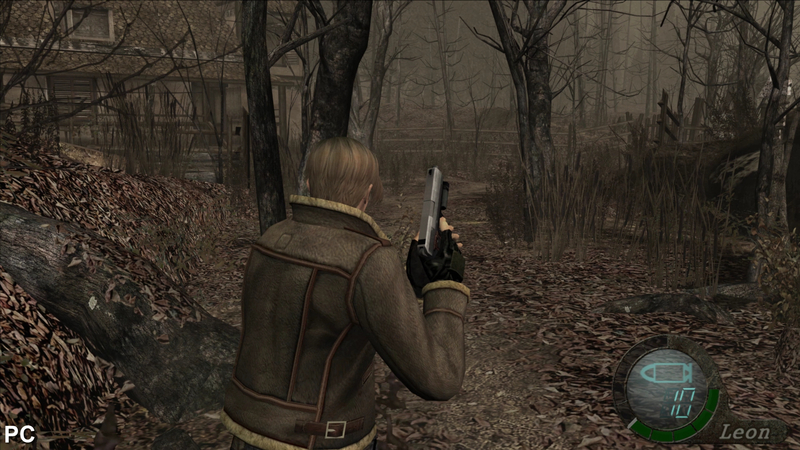 Our video analysis of the game features footage from every major version of Resident Evil 4 to date while assessing the quality of this latest port. Certain animations, such as the rifle reloading, still play back at 30fps and appear jarring in contrast to the rest of the game. 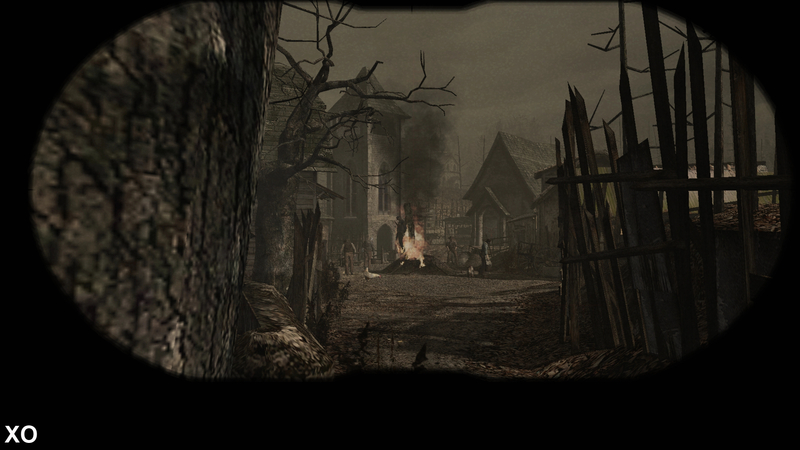 Fire, water, and similar alpha effect animations play back at half-rate as well. Some users have reported issues with spawn rates of certain items, such as eggs, being impacted by the frame-rate while others have run into accelerated animation glitches where Leon's aiming cursor bounces up and down rapidly. We weren't able to replicate these ourselves, but there is enough video evidence out there to suggest that it might not be a flawless experience for everyone. 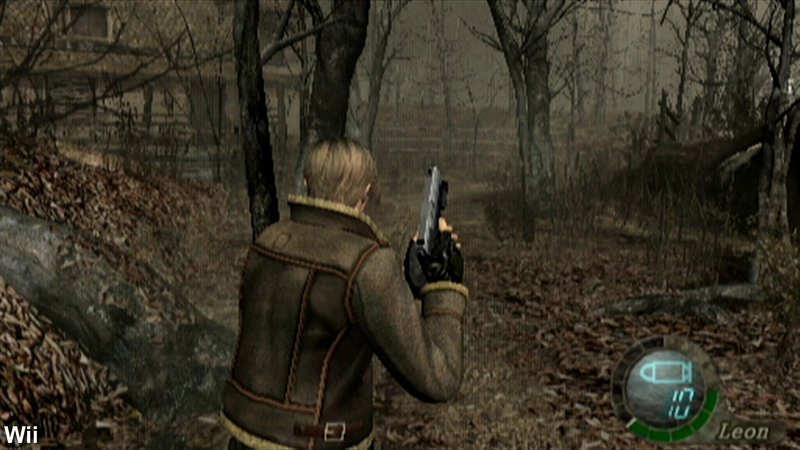 The game also offers users a choice between three control configurations including one that duplicates the GameCube original and another that enables right-stick aiming. When using the Type 3 controller, which mimic the original game, the PS4 version forces the use of R1 and L1 which some may find less comfortable to use. Thankfully, we have been reminded that it's actually possible to remap buttons via the PS4's system menu, making this a non-issue. The options menu also includes a motion blur toggle - it's turned off by default, possibly because it's so woefully poor. Rather than utilising a modern per-pixel blur, this outdated implementation simply smears the image as if it were a 15-year-old LCD monitor. We recommend leaving it disabled in line with the developer's wishes - but at the same time we can't help but feel disappointed that the game-makers didn't introduce a more modern effect. We were also disappointed by the inability to use the original GameCube textures. While the updated assets are sharper, the PC version allows users to toggle between the two if you prefer the original art. This shot demonstrates the texture shimmering and lack of anti-aliasing on PS4 and Xbox One. 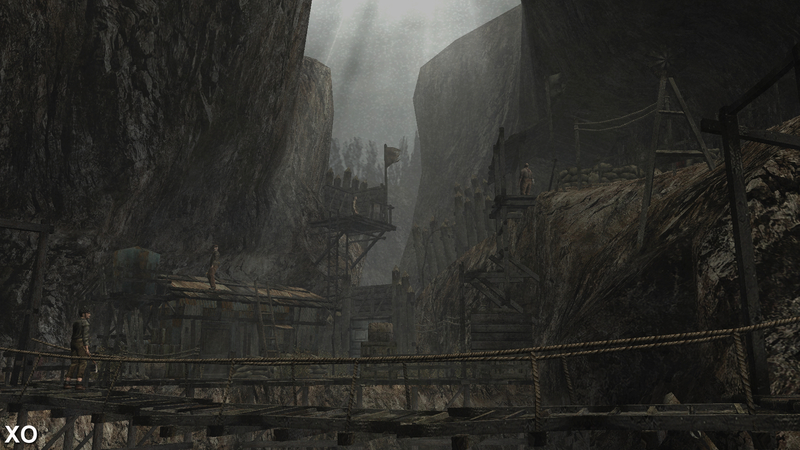 We also see a difference in colour compared to the Wii version. 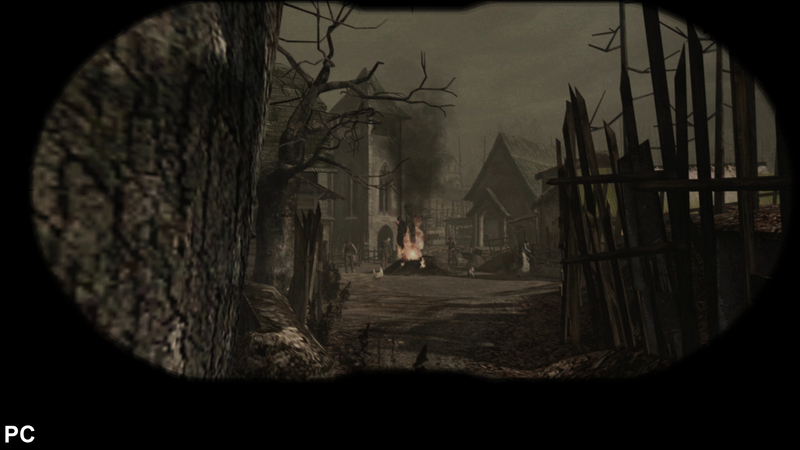 If you look at the fire pit in this scene you can see how much brighter the effect looks on Wii compared to the HD ports. The PC version certainly looks much softer with its anti-aliasing but the clarity is worth it. 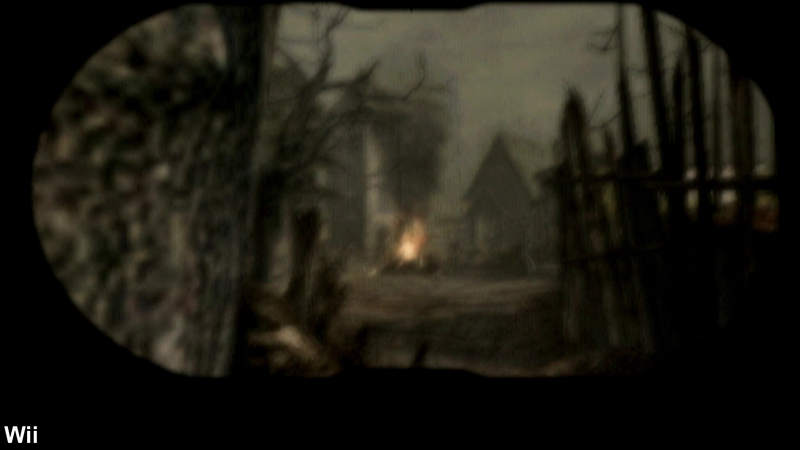 The binoculars features a nice post-process blur effect on Wii while focusing your view - this has been completely removed from the various ports. This shot showcases the enhanced facial textures on PS4 and Xbox One - the PC shot is using the HD textures, it should be noted. In addition, it's even more evident here how desaturated the flames look in comparison to the Wii version. The light from the sky is almost completely desaturated here, almost resembling a colour space correction error. 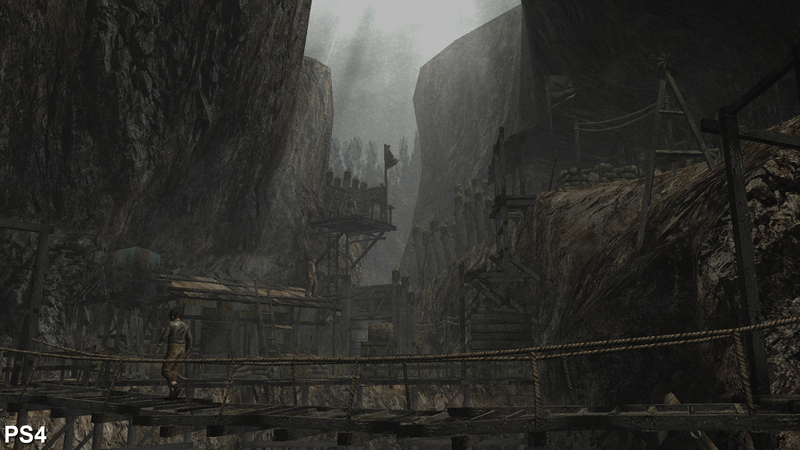 Much of the game's original vibrancy is sapped away in the HD versions though image quality is obviously superior. That said, there is one advantage here over the PC version - Capcom has created a handful of additional high resolution textures that were absent in the PC release. The villagers' faces, for instance, are now much more detailed on PS4 and Xbox One. It's nice to see some additional effort placed into this version even if it only has a minor impact on the overall presentation. 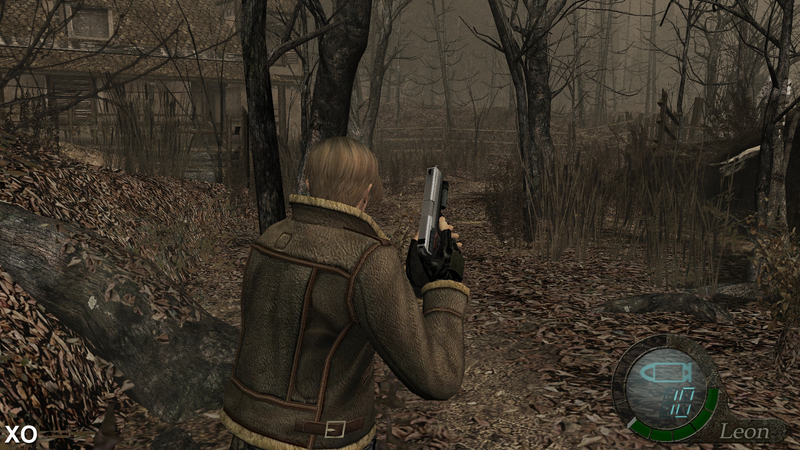 Ultimately, Resident Evil 4 on Xbox One and PlayStation 4 is a good but not great port. It runs very smoothly and looks good enough, but it doesn't push things as far as we would have liked. If you're looking to replay Resident Evil 4 or try it for the first time, there are certainly worse ways to go. At least both PS4 and Xbox One versions are 100 per cent identical, making this choice one of controller preference as opposed to visual features or performance. It's certainly been interesting to revisit so many Resident Evil titles this year on the current wave of consoles. In the end, Resident Evil 6 received the best port of the bunch - an interesting result considering how poorly the original PlayStation 3 and Xbox 360 versions performed. Resident Evil 4, then, is clearly second place here while the disappointing conversion work performed on RE5 places it in last position. 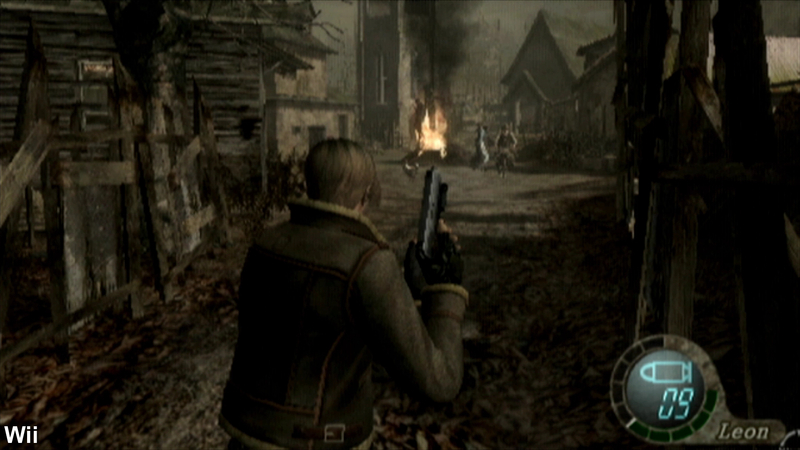 In all cases, the quality of the original games still shines through - with Resident Evil 6 in particular making the most of the leap to the more modern hardware - but there's still the sense that these remasters could have been so much more. At least we can expect more from the promising Resident Evil 7, designed from the ground up for current-gen hardware and targeting a locked 1080p60.